We never thought we'd see a wristband fitness tracker from the folks at Fitbit, but it seems that Fitbit was easily tempted by the success of Jawbone's Up and Nike's FuelBand wristband trackers. 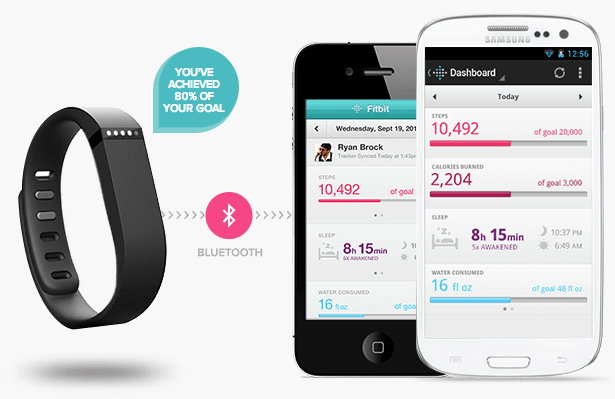 And that is why Fitbit just announced its first wristband offering called the Flex. It's a slim and rather stylish piece of smooth monolithic sculpted rubber you can comfortably wear all day and all night for the sake of knowing how well you've performed physically. Hardware wise, the Flex is actually a small dongle much like Fitbit's One tracker that can be removed from its rubber wristband home and put into a different colored one including slate, teal, tangerine and black. The Flex wireless syncs with your iPhone, or Samsung's Galaxy S3 and Note 2 devices over Bluetooth 4.0 as it updates the companion Fitbit app with the data it has tracked like steps taken, calories burned, distance traveled, quality and duration of your sleep. Like the One, the Flex is water-resistant, has a 5-7 day rechargeable battery life and features a set of LED dotted lights replaced the One's small and informative OLED screen to represent your activity level against your goal and nothing more. The Flex also features a silent alarm that can be set to vibrate on your wrist. 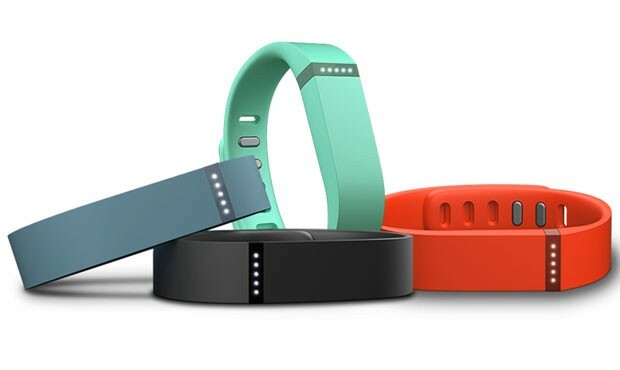 The Fitbit Flex can be pre-ordered starting today for $100 in either black or slate, and it's expected to ship in the spring. It'll include two wristband sizes in the box as standard.